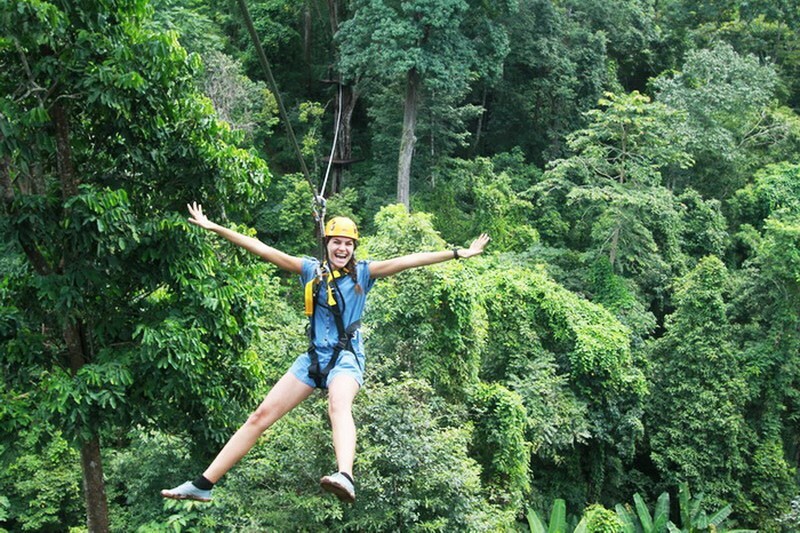 Flying Squirrels, Zipline Adventure Chiang Mai Thailand is a truly fun adventure experience that YOU would have wanted to create! Engineered and built by a group of fun-loving experts, we have pioneered a one-of-a-kind attraction. 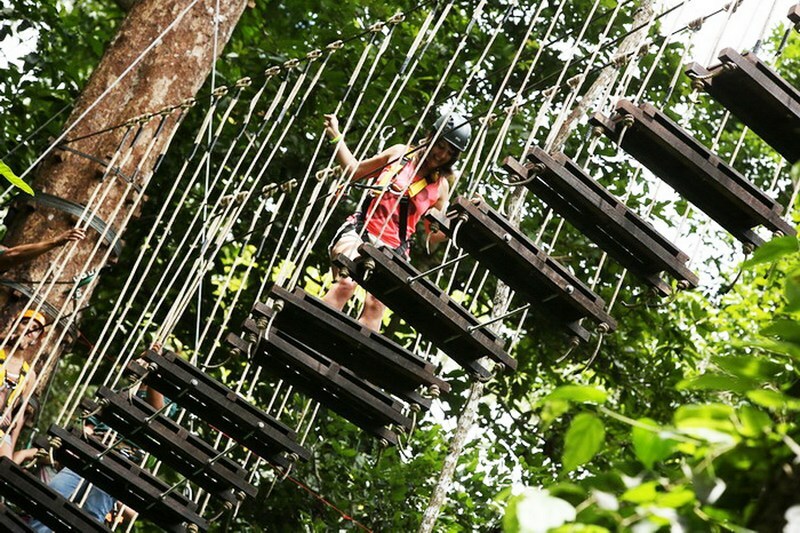 With a combination of ziplines and our exclusive obstacle course built high in the treetops, we will take you on a journey of invigorating fun and exhilarating excitement. 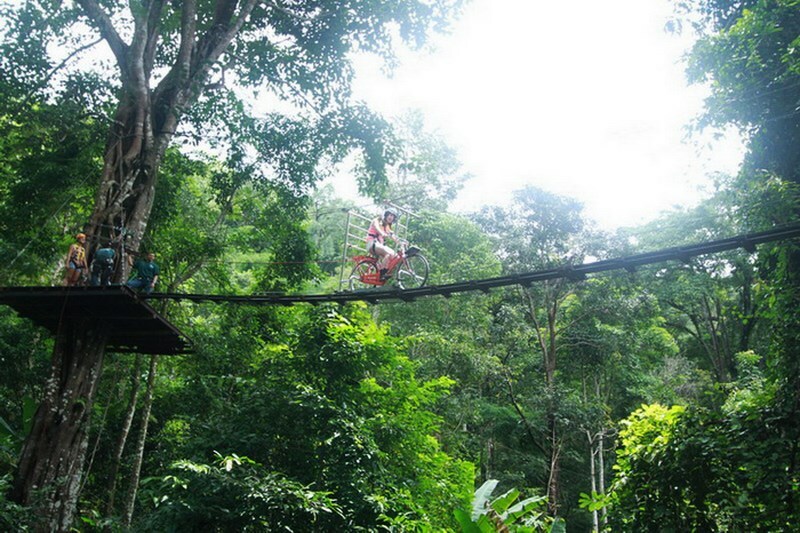 After all, where else can you bike high in the sky or slide down the trunk of massive ancient trees? 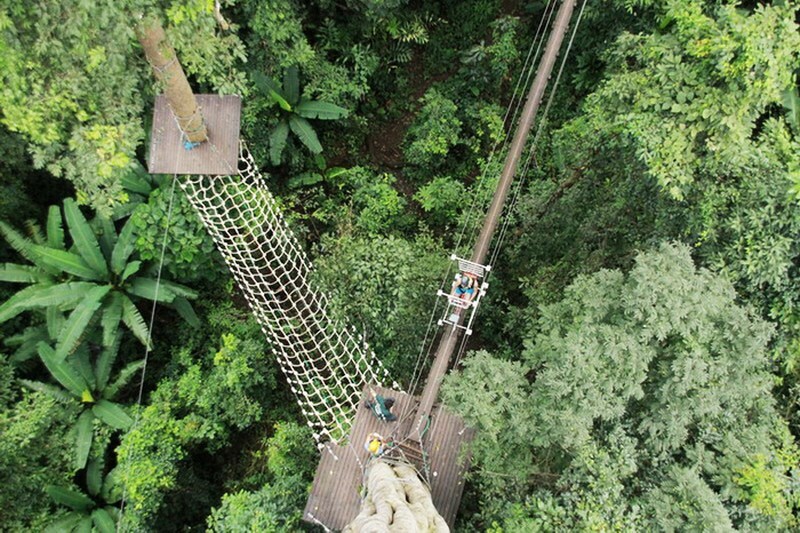 And did we mention flying high above the canopy?! 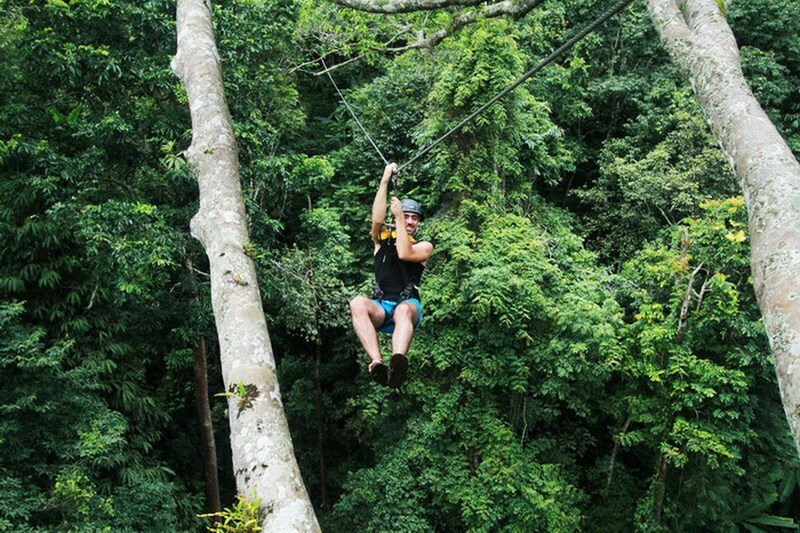 Flying Squirrels is an adventure like no other for ALL ages. 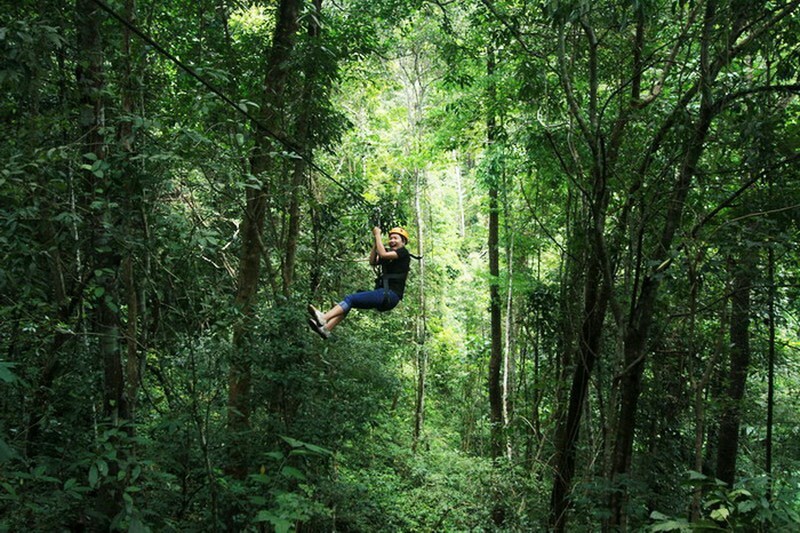 Flying Squirrels Just beyond the ancient city of Chiang Mai the plateau rises gently to greet rolling hills and an expanse of Evergreen Forests (technically speaking there are no rainforests in Thailand) that majestically paint the mountains behind a seemingly endless sky. 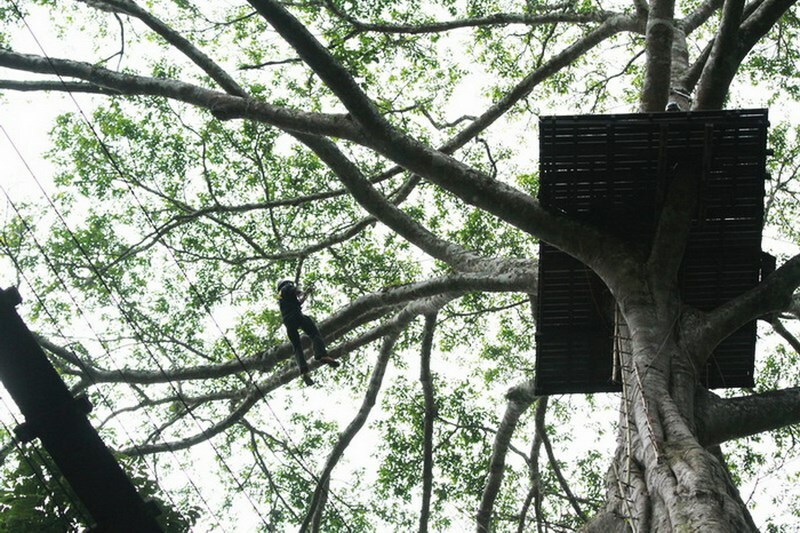 There, more than 1,000 meters above sea level perched atop a charming hilltop, lies the sleepy village of Pong Krai, home to the Flying Squirrels, Zinlining Chiang Mai. 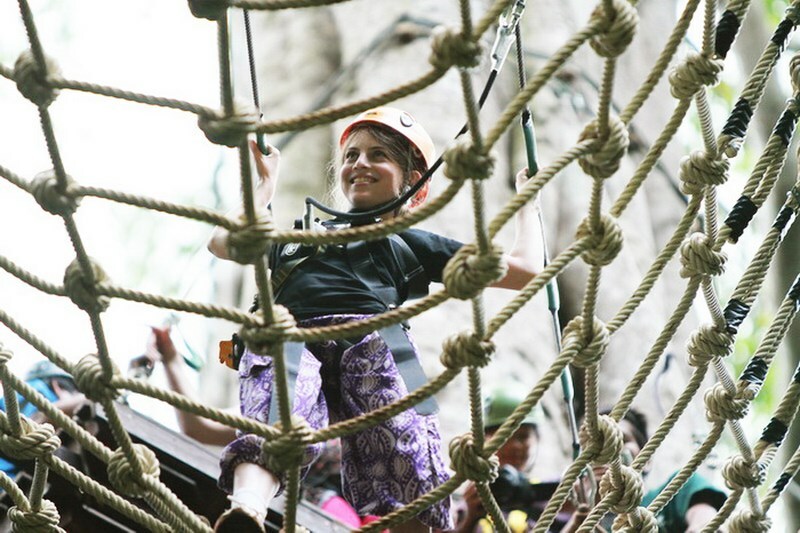 Our Mission The goal of us at Flying Squirrels is to provide you with an unparalleled, unmatched treetop adventure that focuses on one word: FUN! 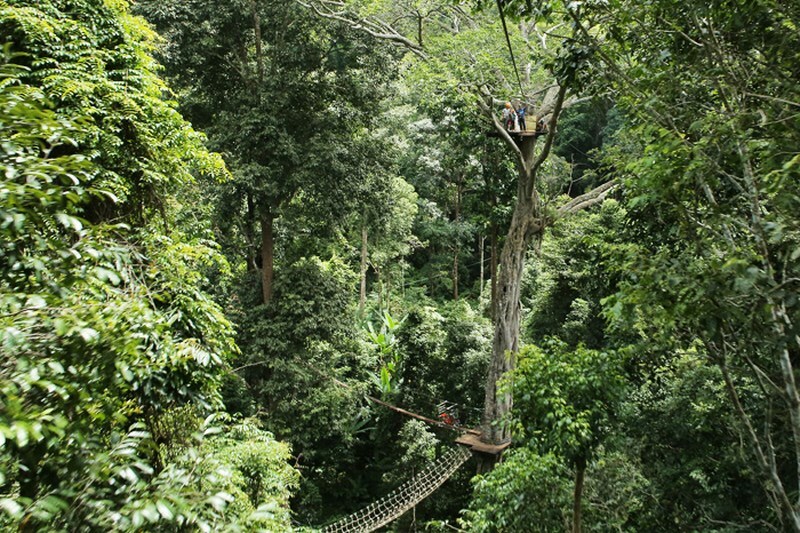 While doing so, we wish to break free of the monotony of similar zipline tours to make it an expedition both unique and engaging. Additionally, Flying Squirrels aspire to maintain the highest international safety standards. 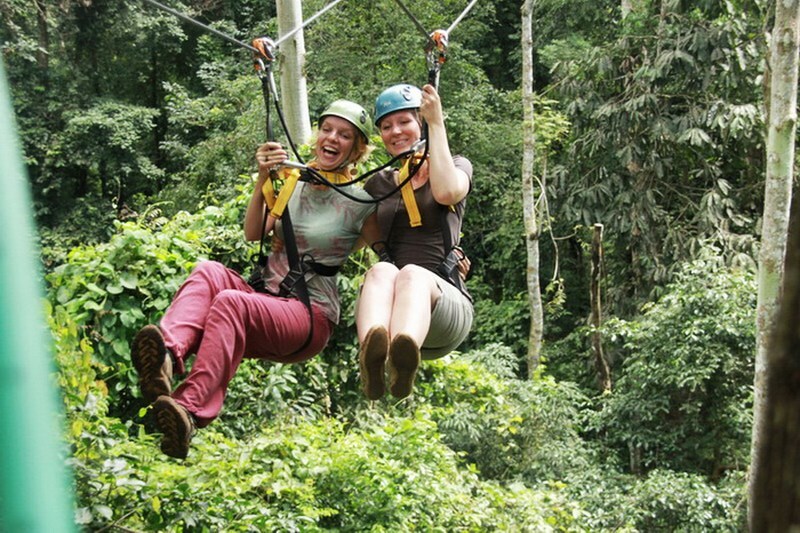 Our Commitment At Flying Squirrels we have a genuine commitment to quality in all aspects of our business. 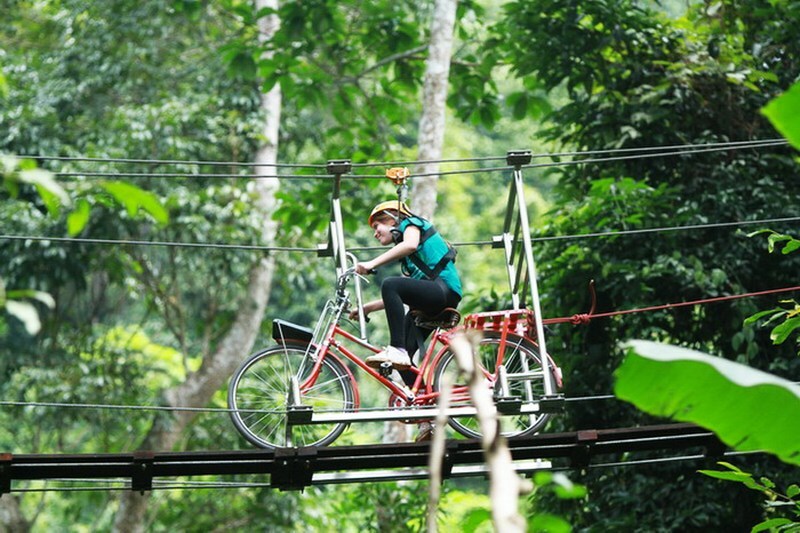 It is our conviction that EVERONE taking part in our activity will be thrilled by our innovative, state-of-the-art extreme adventure. We guarantee 100% satisfaction or your money back. 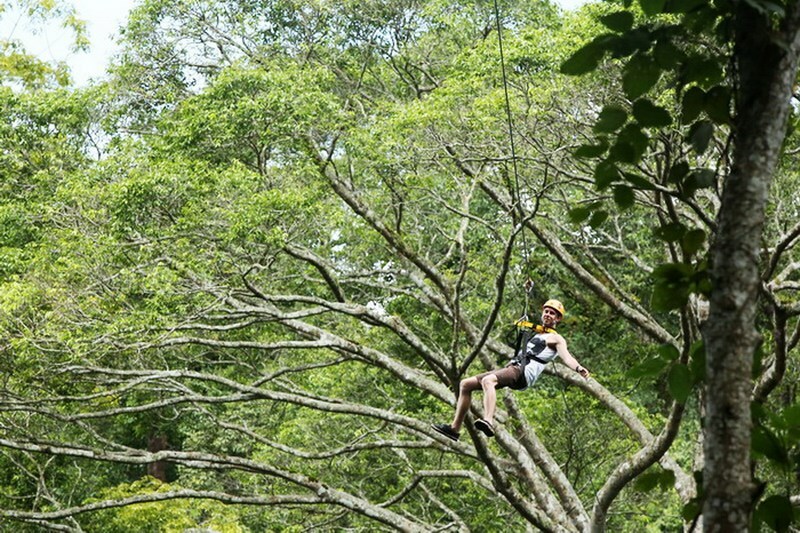 Ziplining Safety The safety of our guests is of paramount importance to us. We use only superior quality equipment that is regularly and rigorously inspected and maintained. 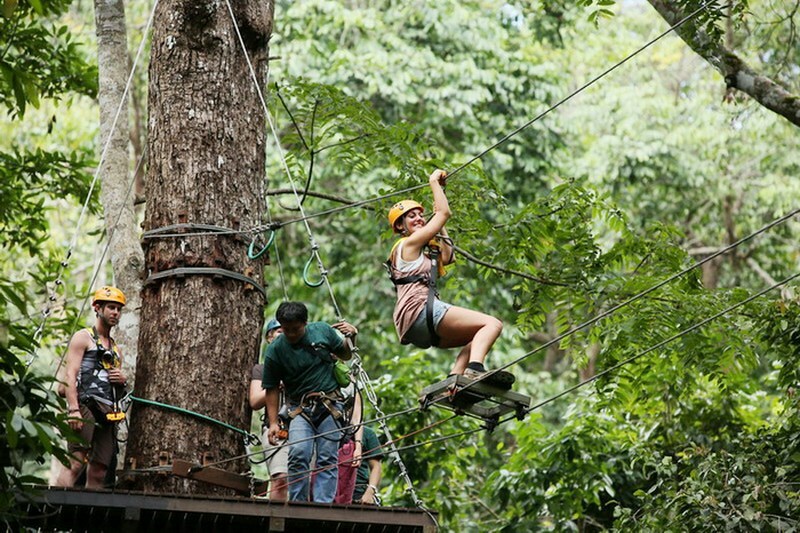 We meet or exceed the safety standards of the challenge course industry in respect to design, construction and operations. Our experienced Flight Officers submit to extensive First Aid training as well as situational responses. Tour Description The flight will take approximately two and a half hours and will involve some easy to moderate physical activity. Two highly trained Flight Officers will guide each flight. 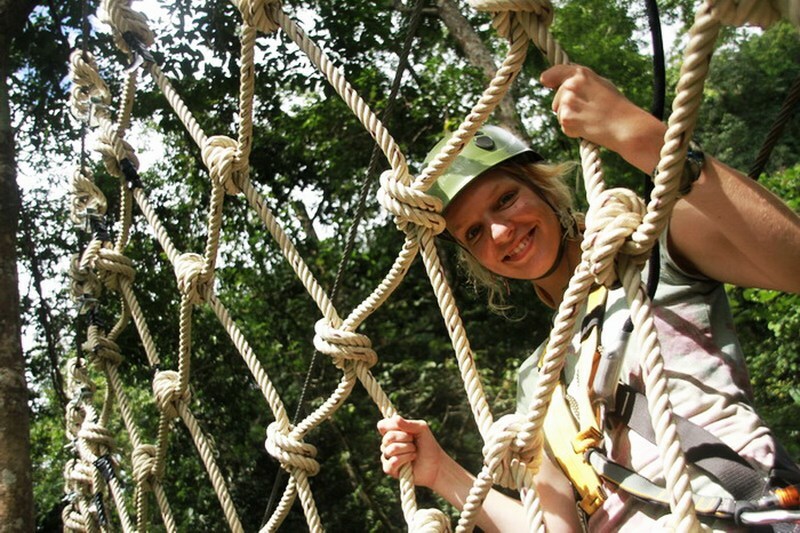 You can create your own group (ideal for corporate team building exercises!) or simply join a group and get to know friendly people from around the world. Your flight will begin with an informative yet thorough briefing. Then, your flight will take off from "The Launch Pad". HAPPY FLYING! What to bring Sunscreen, bug repellent, closed-toe shoes (please, NO flip-flops!) Cameras with straps Pants or long shorts (just above the knee). Loose clothing is highly recommended! Your high spirit! 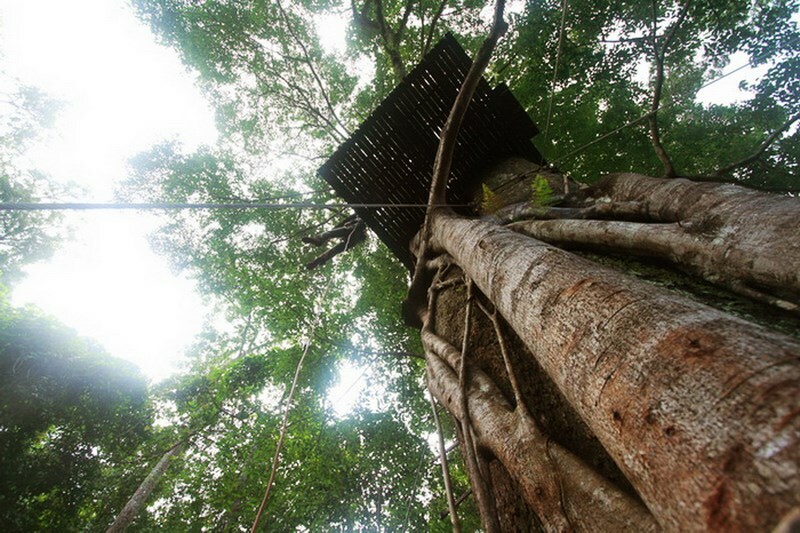 YES, most importantly, bring your desire to soar and glide high above the wondrous ancient forest that awaits you at Flying Squirrels! 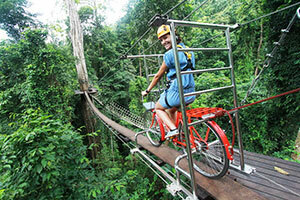 Restrictions and Requirements 20 Kg minimum weight required while a body weight of 110 Kg. is the maximum. Not recommended for people with heart, back, hip or knee problems or pregnant women.